October Saturdays is the story of a boy's exposure to college football, and how big games intertwine with events of his life. College football is enjoyed by millions each year. Most of those are exposed to the sport by a parent and usually swear allegiance to the same team. Southern teams enjoy near fanatical support, and nowhere is the support stronger than at Alabama. 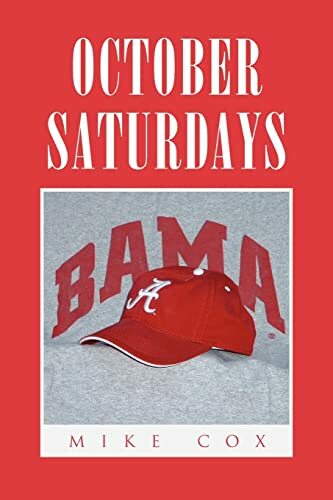 This book highlights a Bama fan's metamorphosis as he grows from a ten-year-old boy to a grandfather. It is about Alabama's football history but could be about any college program anywhere in the country.